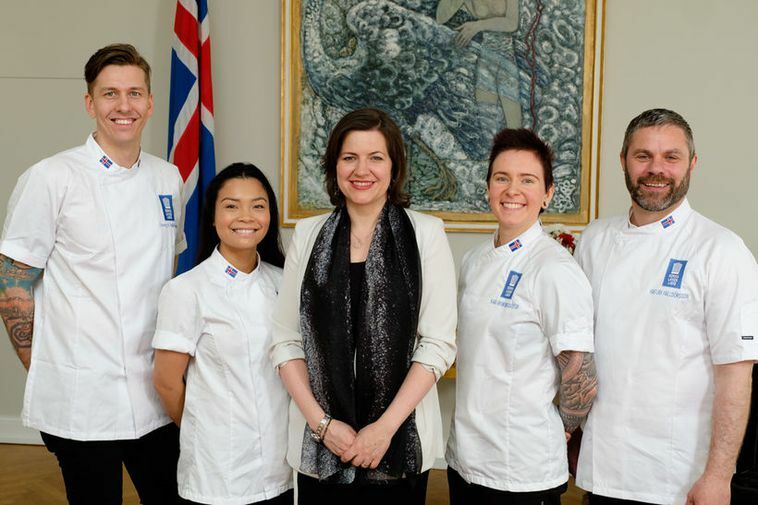 The Icelandic National Culinary team will be competing at the Expogast Villeroy and Boch Culinary Cup which takes place every four years in Luxembourg. First Lady Eliza Reid will be accompanying the team who are determined to do even better than four years ago when they reached fifth place. The national team use Icelandic traditions and uses classic, specially selected Icelandic products, and the three course menu will include Icelandic cod, Icelandic lamb and Ísey skyr. An announcement from the national team says that they are very honoured that the First Lady will be a special protector of the team. "In recent years the diversity in Icelandic cuisine has increased greatly and it's of course important that we have access to the wide variety of healthy produce we have in this country," said Reid. "I look forward to being protectof of the culinary team who will be showing the world this interesting side of the Icealndic national soul." You can follow the progress of the national team on their Facebook page, on Instagram, and on their home page.